With its 7 meeting rooms with a capacity from 35 to 130 people, the Centre Azur offers tailor-made services adapted to each of your activities (meeting, internship, collaborative seminar, training ...). 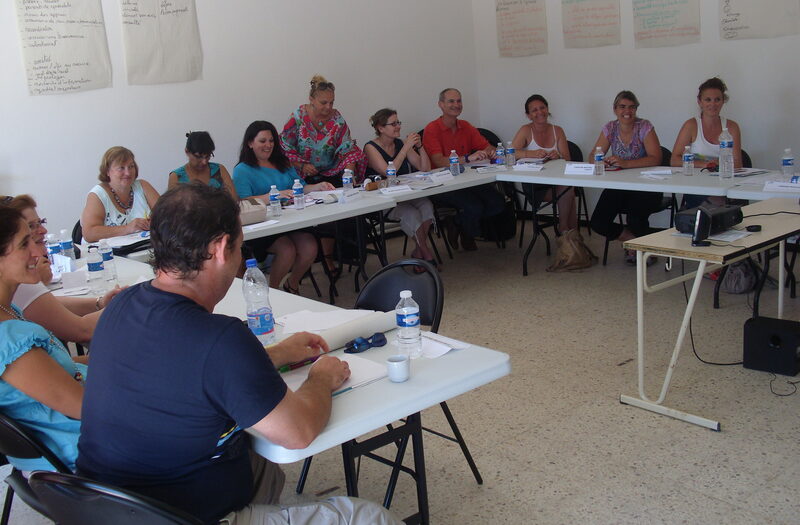 In addition, the Centre Azur offers you the possibility to organize sports and cultural activities as part of your collaborative projects (team building). 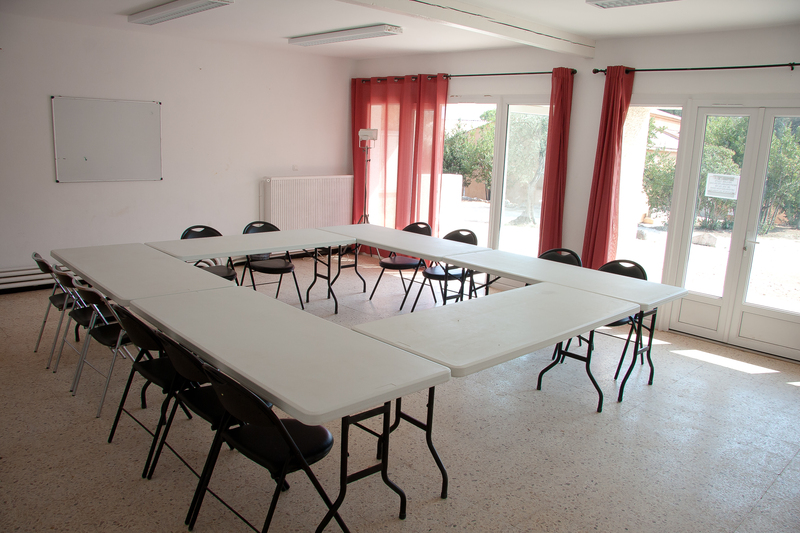 The Centre Azur has 7 bright and spacious rooms that can be used for all types of groups and training. 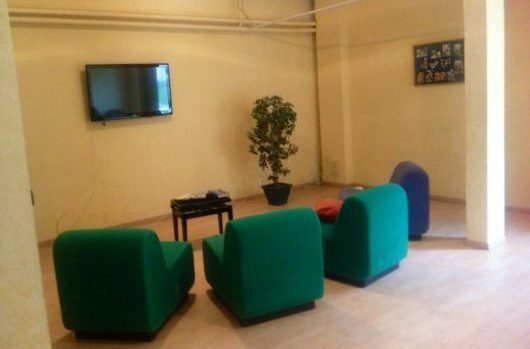 We have rooms for all times and budgets, some of them with Wi-Fi access. 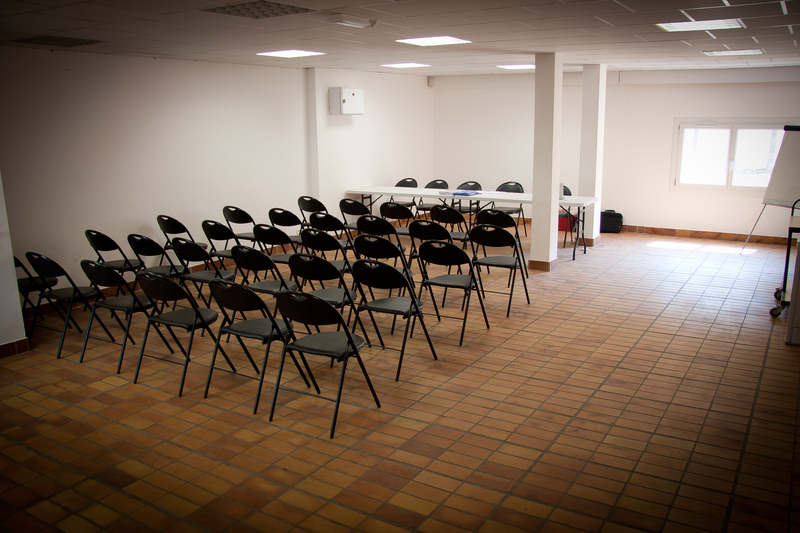 For parties or seminars requiring more space, we have 4 spacious rooms. Room La SantolineThe room “La Santoline” can accommodate up to 140 people seated (180 m² wide). For a dancing party we recommend a maximum of 110 people. It is equipped with a stage allowing theatrical shows. Room Les GenêtsThe “Les Genêts” room is suitable for a meeting of 30 or so people. It also has a stage. Room Les OliviersThe room “Les Oliviers” can accommodate 80 people seated during meals (113 m² wide). It can be converted to accommodate 130 people in “conference” devices. 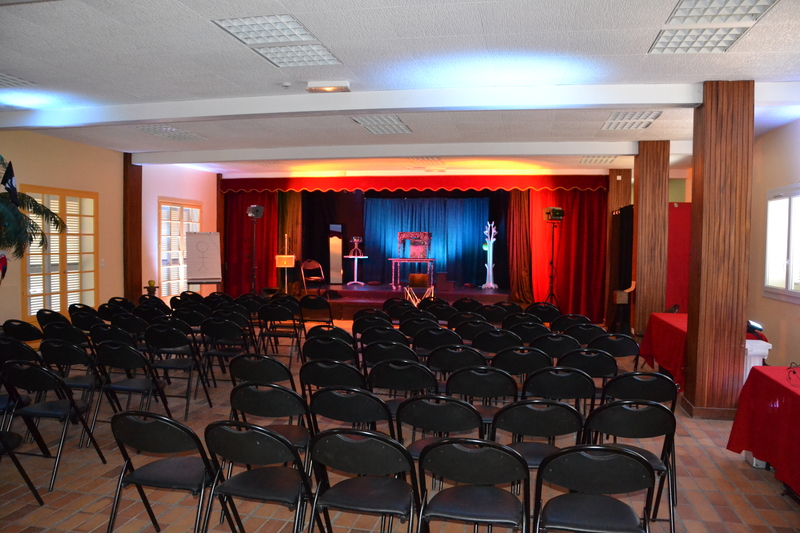 It can also be used for exhibitions and other cultural events. 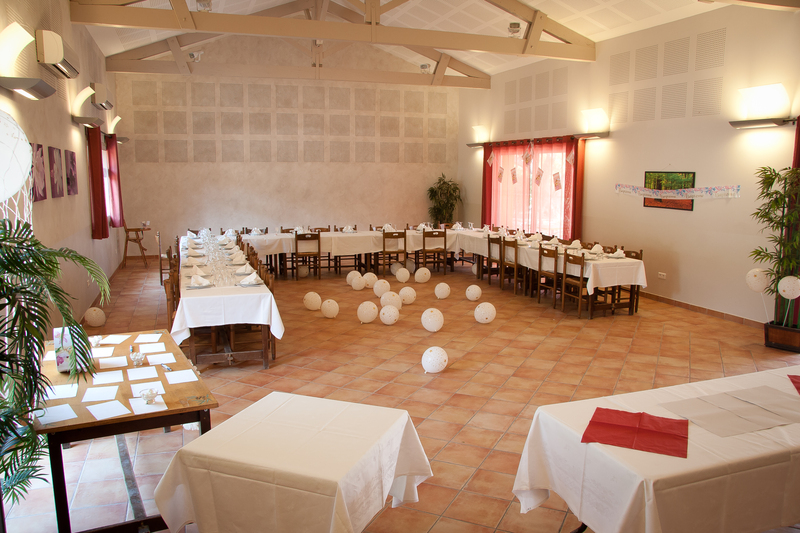 Arranged within “U-shape” tables for 50 people and suitable for a dancing party up to 50 people. Room Les MimosasThe room “Les Mimosas” is equipped with a television and can accommodate 15 or so person (42m² wide). There is “La Sarriette” (workshop room with water point), “The Romarin” (to be favored for choirs for its hig ceiling), and the room “L’Origan”. In order for you to spend your stay in the best conditions, the Centre Azur offers different types of accommodation with rooms from 3 to 4 people with balconies or terraces and a greenness view. 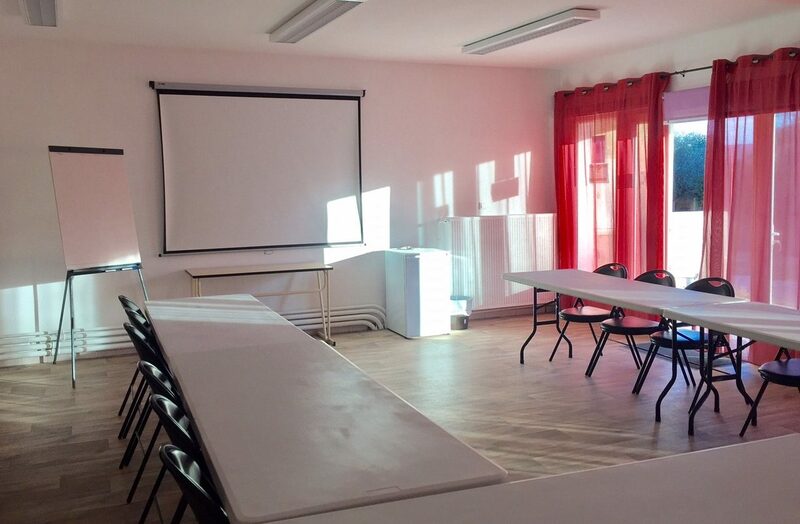 You can be accommodated in 3 different buildings, “Le Figuier”, “Les Arbousieurs” and “Le Cyprès”. Our offer also includes 2 villages of bungalows canvases, “Les Lauriers” and “Les Pins” for a total of 64 beds. These large canvases accommodate 4 beds on hard floor, equipped with storage cabinets, lights, electrical outlets, bedside tables and common sanitary ideal for youth groups. Found out more in our Accommodation section. Establish your proposal. (Full board / Half board / Night-Breakfast). The chef offers you a homemade cuisine, prepared on site, taking good care of the special needs of the public welcomed. Adapted menus to specific diets, special meals to take away. To enjoy our good meals, you will have the choice of the friendly atmosphere of our two dining rooms or maybe you would prefer the open terrace on sunny days or the patio. You will find more information in our section Restoration & Events.